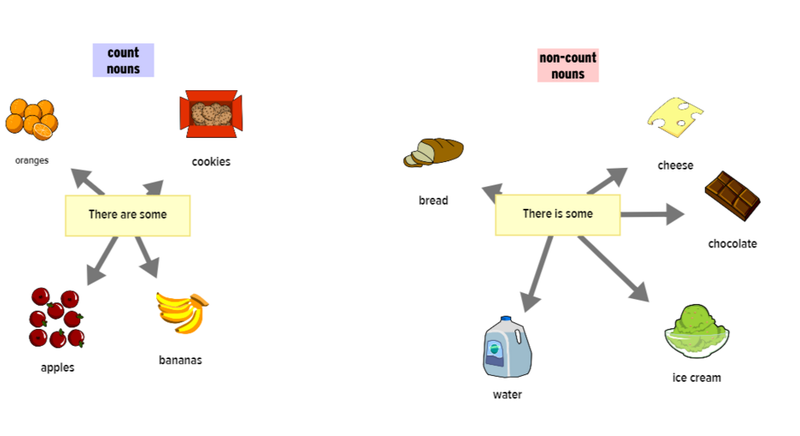 This exemplar map illustrates the grammar concept of count and non-count nouns featured in the BrainPOP ELL movie Any Cookies? The student used the keyword and image banks as well as blank nodes to create two categories: There are some and There is some. Using these two sentence starters with examples to illustrate the difference is an effective way for students to practice this tricky grammar concept.